I was invited to attend Graco Little Lounger Event on November 7th in Dallas! At the event bloggers learned more about the ways that the Graco Little Lounger can create valuable time for mothers with infants. There was a fitness instructor as a guest expert at the event, providing health and fitness tips and demonstrated some quick workout ideas! The Graco Little Lounger is a 2-in-1 product, a vibrating lounger and rocking seat in one! With the simplicity of just flipping the bottom “Rock Locks” to a lock position, you can go from one extremely comfortable rocker to stable vibrating lounger for your child to sleep in. To clean frame, use only household soap and warm water. No bleach. Refer to care tag on your seat pad for washing instructions. No bleach. The Graco Little Lounger is available in 3 different designs including Caraway, Dakota, and Astoria. 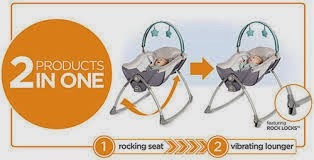 Each are available at different retailers including Babies “R” Us, Target and buybuyBaby. 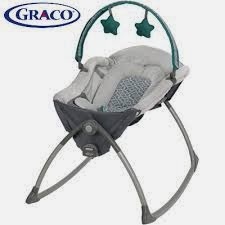 The Graco Little Lounger retails for $79.99. The whole idea behind the Graco Little Lounger #Graco15ForMe event is to give moms an extra 15 minutes during the day to do what they need to get done from reading, a nap, or even working out.